After your renovation is finished, take a moment before filling your cabinets to wipe away any dust and particles that have appeared after installation. Using a damp (NOT wet), soft cloth, wipe down all cabinetry inside and out – including hardware. Immediately wipe dry using a clean, dry, soft cloth. If your cabinets have glass inserts, use an ammonia-free glass cleaner sprayed on a soft, lint-free cloth to clean them. Do not spray the cleaner directly onto the glass. It is best to remove the glass from the cabinetry to clean, as the chemicals can damage the finish on your new cabinets. 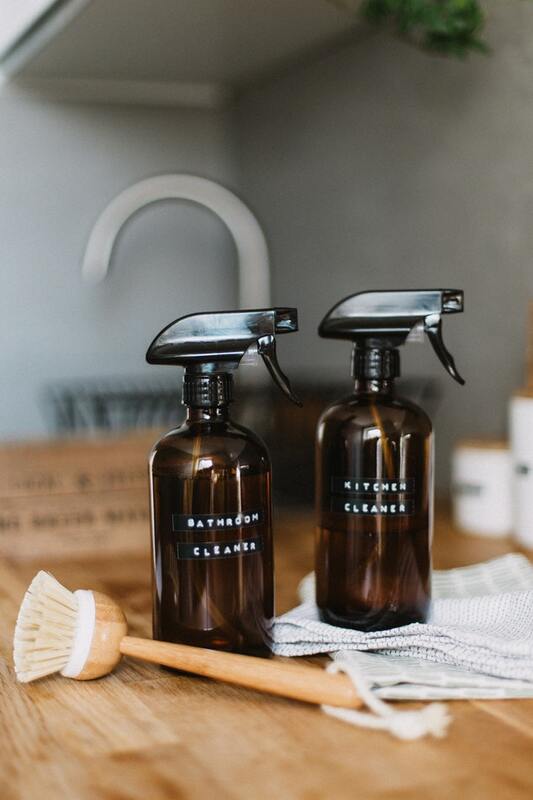 A solution of dishwashing liquid and fresh, warm water or a mild all-purpose cleanser should be sufficient to clean your cabinets. Always be sure to wipe down any moisture or spills with a dry, soft cloth immediately, as prolonged contact may damage the cabinet. When dusting your cabinets, use a soft, lint-free cotton cloth. Do not use packaged dusting sheets, pre-moistened dusting sheets or aerosol products made for dusting. To minimize fading, consider draperies or blinds to protect your cabinets from direct sunlight and keep them looking fresh and new. If, for any reason you cabinetry becomes damaged, contact the business from which it was purchased. Cabinet lines have specialized touch-up kits for their products that are available for order through such companies.